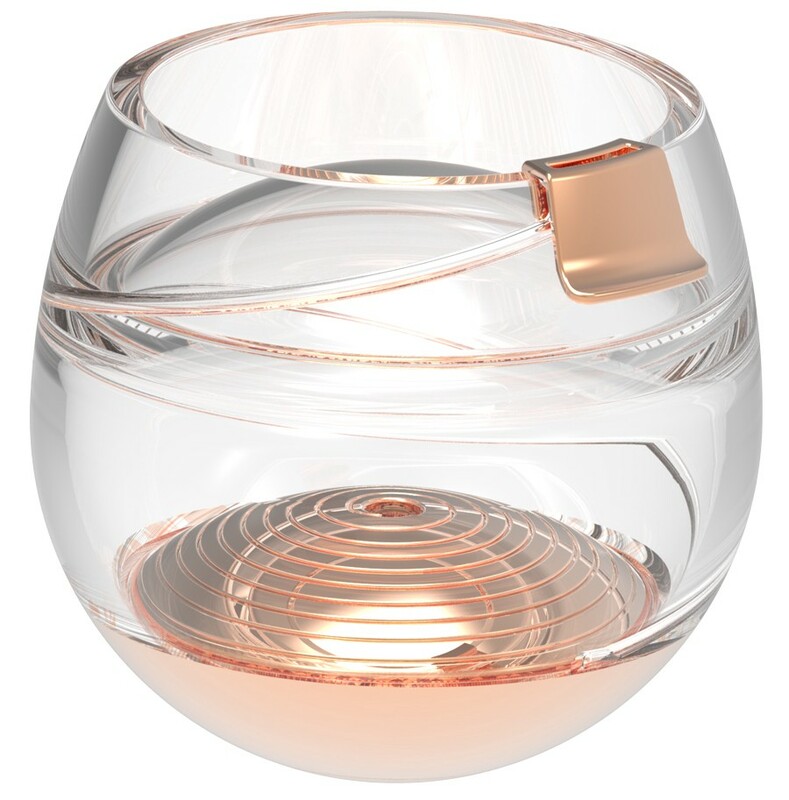 The first whisky glass engineered to work in microgravity. In 2015, Ballantine’s embarked on designing a glass to ensure that in the future, we’ll take whisky with us. We’re delighted to launch the Ballantine’s Space Glass, having engineered and tested our prototype in micro gravity at the ZARM Drop Tower, Bremen, Germany. Gold is often used in space technology as it deflects the radiation of the sun, but in this instance it’s highly unreactive properties serves to prevent the glass from affecting the whisky’s taste. 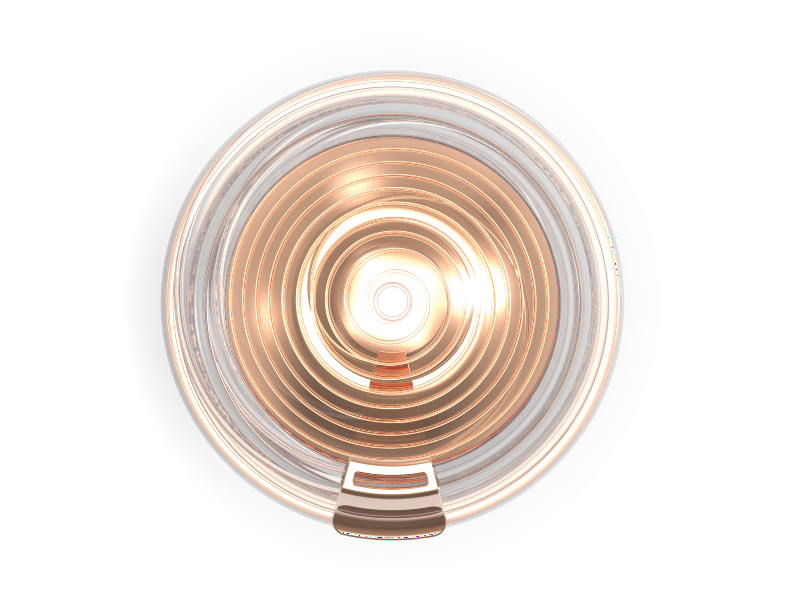 The rose gold colour is also reminiscent of the copper used in the whisky distillation process, a nod to our rich history. James Parr from the Open Space Agency, who led the design and build of the glass, is convinced the glass heralds a new era of open-source space design and a landmark for the future of whisky. 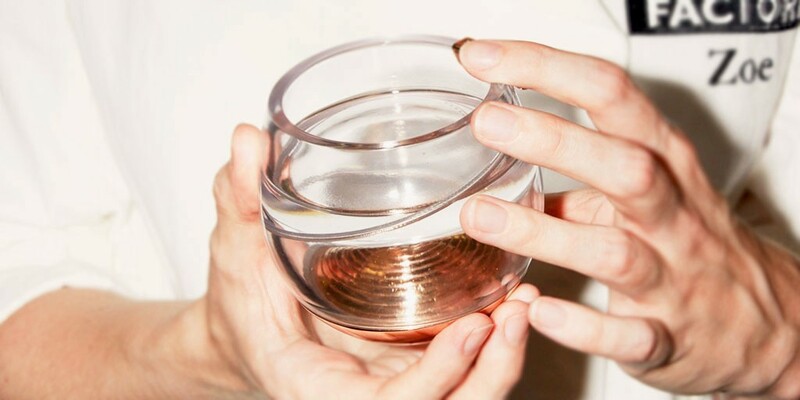 The glass has a spiral convex base plate and this gold plate creates surface tension to hold the whisky down in a reservoir at the bottom of the glass. 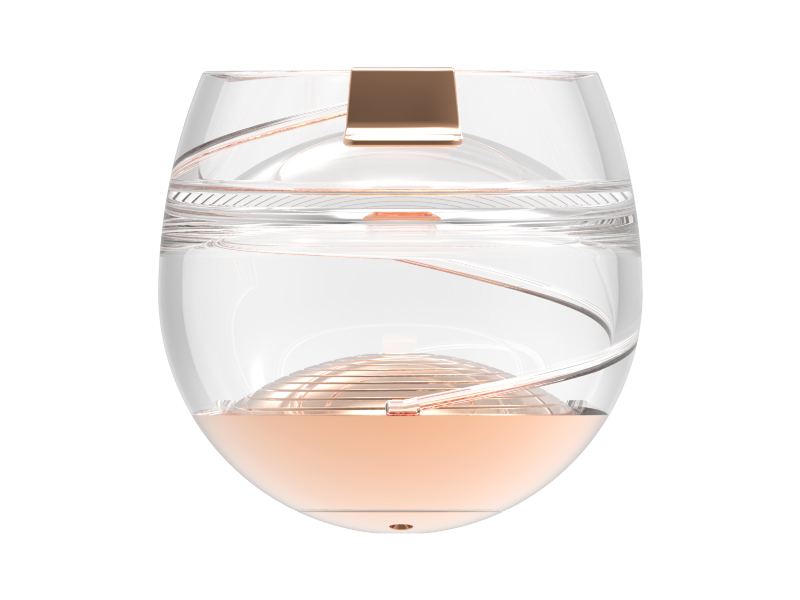 Connected to this reservoir is a helix and a small channel runs up the side of the glass to carry the liquid up to the rose gold mouthpiece, where the liquid waits for the space traveller to drink it. Included in the base of the glass is a 10kg pull magnet for easy docking with a bespoke whisky insert nozzle, for putting the Glass “down” on a metallic microgravity bar or even on a wall. The custom loading nozzle inserts into the one way valve situated on the base of the glass and subsequently solves the problem of pouring in microgravity conditions. 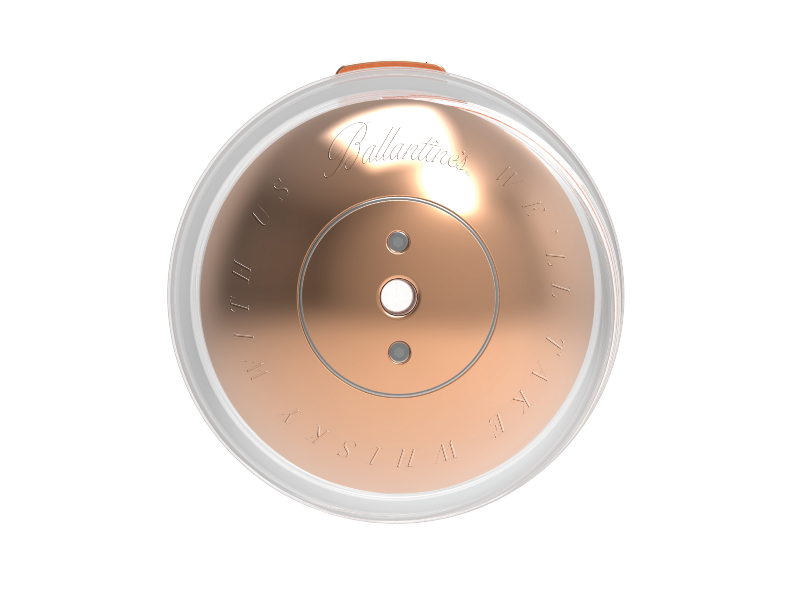 This allows whisky to seamlessly flow into the glass from a standard bottle of Ballantine’s Finest — meaning you won’t spill a drop of your favourite dram. The obvious benefit of 3D printing is that it is future-proof. For example there is currently a printer on the International Space Station (I.S.S) and it is undoubtedly the best way to manufacture products in space. One of the challenges of using plastic is that you lose the premium feel of glass or crystal. 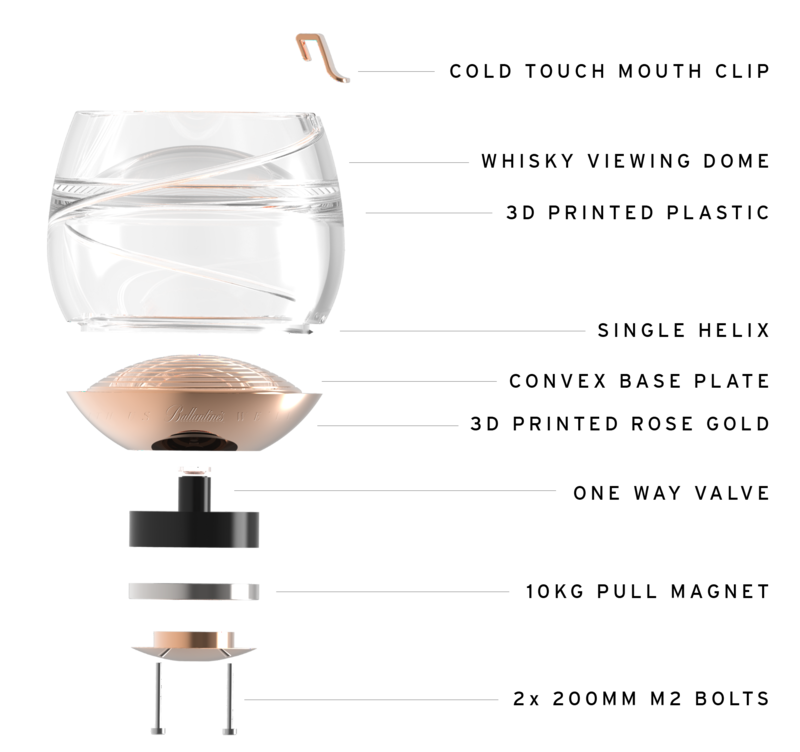 The Ballantine’s Space Glass negotiates this by including a Rose Gold mouthpiece, which still gives you that evocative, cold touch on your lip as you drink. It is also the key indicator to guide your mouth to the top of the helix. Of course, the Ballantine’s Space Glass has also been designed for enjoyment here on Earth. It may be years, decades or centuries until the Ballantine’s Space Glass can be fully enjoyed from your first space flight. So in the meantime we’re looking at ways you can experience it right here on Earth. 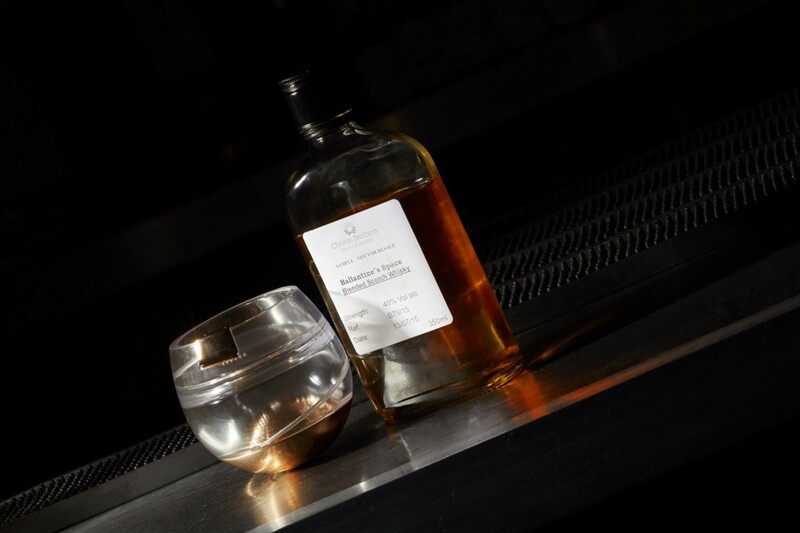 To accompany our Space Glass Ballantine’s Master Blender, Sandy Hyslop, has subsquently crafted a special batch of scotch whisky to enjoy in space. Finish: Balanced sweet and incredibly smooth, with a hint of spice. We’ll take whisky with us. For more information on Ballantine’s Space Glass explore our Medium publication. Official Medium account of Ballantine’s Scotch whisky. Staying True to George since 1827. Ballantine’s believe that when individuals Stay True to themselves they leave their mark on this planet. Now we’ve engineered a Space Glass, which works in microgravity, to ensure that the spirit of whisky lives on into the future.